We all have times when we lose focus or feel less than motivated. Or we have just gone through a day or two when nothing seems to be going right. That is especially true for many small business owners. We carry the weight of our businesses squarely on our shoulders. And while we relish the freedom of making our own choices, that also comes will a lot of pressure. Whenever I am going through these rough times, that is when I need a boost the most. Something to get me over the hump and back on track. And I find that these quotes do just the trick. Reading a few of them puts me in the frame of mind I need to tackle the day, the week, or even the month ahead. and I think they could do the same for you. What better inspiration than to realize you have the freedom to follow a path unique to you? “I Know Why I do What I do”. And I believe that no one is more of an individual than an entrepreneur! Lovely!!! This one just puts me in the right frame of mind every time. 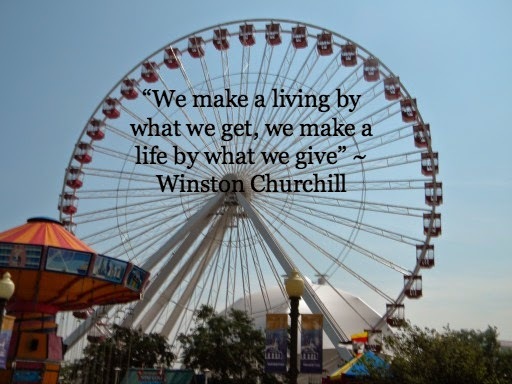 As people, and especially as entrepreneurs, there are things we can do daily to “pay it forward”. 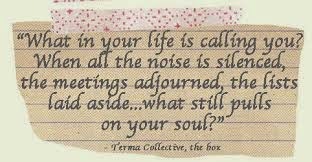 And this quote always gives me a great reminder. I have found some easy ways to use my own business to help other small businesses. Here you will find my 4 tips! Every now and again I need a reminder that success is not always measured by my bank account. While making money is certainly important, there are other things that bring even greater satisfaction. 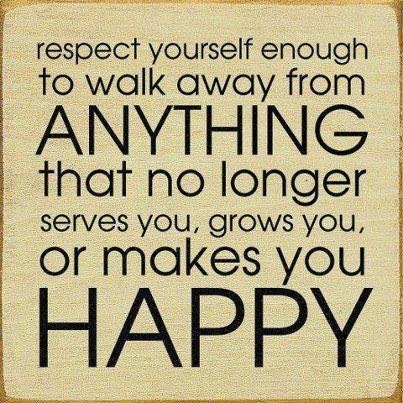 This goes for your clients too! Making sure they know how important they are to you will go a long way! We have the power to choose our happiness. And I believe that if something is bringing us down, we need to remove that from our lives. That also is true in our business ~ Difficult clients being one of them! Find parts 1 and 2 of my series on Dealing with Problem Clients here and here. "You're on your own. And you know what you know. 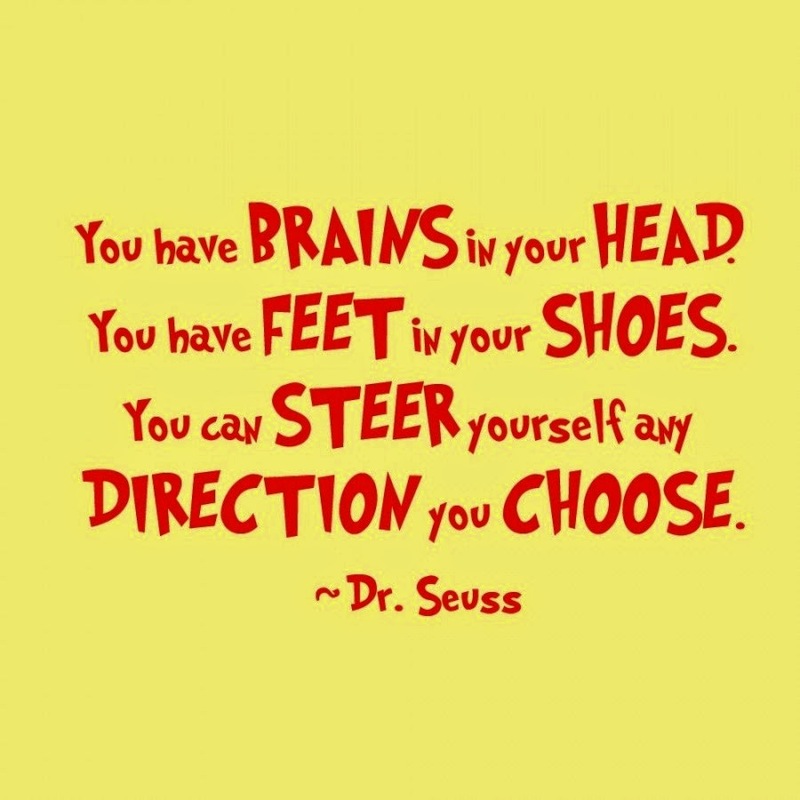 And YOU are the one who'll decide where to go...” Dr. Seuss, Oh, the Places You'll Go! To me, this sums up the life of an entrepreneur! Go Dr. Seuss! 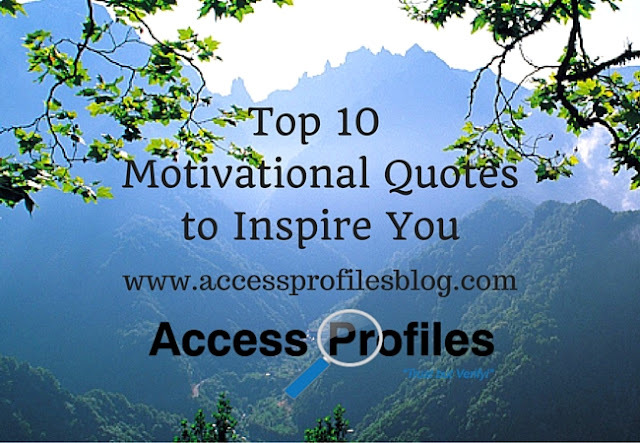 Now I encourage you to discover the words that will inspire you. You may find that some of the ones I have shared here speak to you too. Or you may have to go in search of your own. But either way, having some “go to” words of wisdom will help you when you need it. And we all need that boost in our confidence or moment of clarity every now and again! 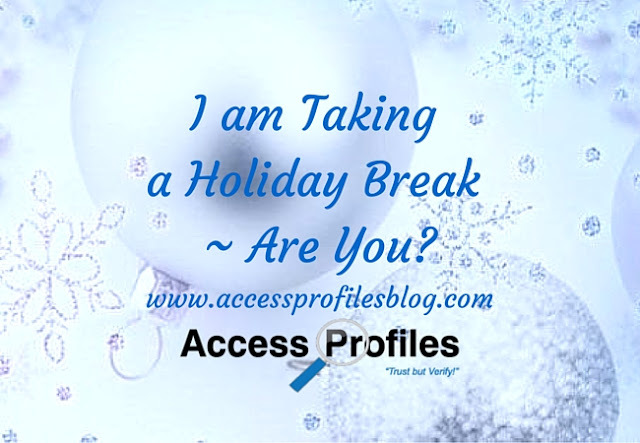 Find out more about what we do, and “why”, by visiting our site, www.accessprofilesblog.com. You will find many articles dedicated to Helping You and Your Small Business Succeed! You will get new articles and access to the latest Small Business information and tips! As is true with most news, it is the “Bad” news that gets the press. It is the same with the Background Check Industry. 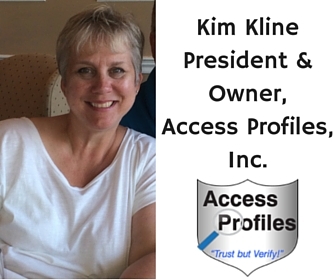 Errors in Background Check reports, “Quick” turnaround companies, mistaken identities ~ the list goes on. 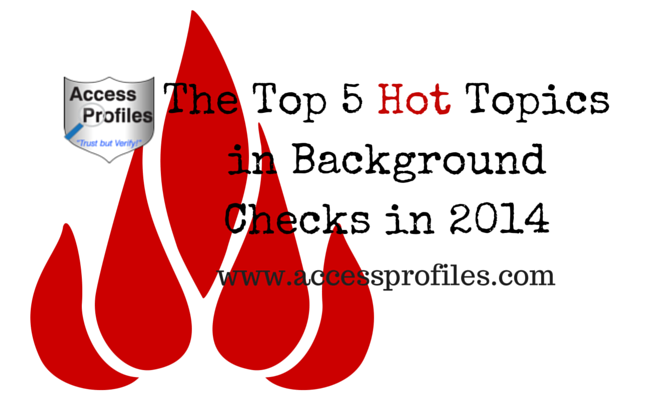 The fact is , there are many more reputable Background Check companies out there than dishonest ones. Most are careful to provide accurate and timely information and go to great lengths to do their best for their client and for the subject of their investigation. However, “quick fix” companies are out there ~ despite the push by good companies to bring their sub par work into the light of day. These companies continue because their promises of “instant” results sell. They base their marketing on promoting quick information at a low cost. That is alluring. The bottom line is that the public is misinformed. The real truth is - not all Background Check companies are created equal. As an industry, we need to acknowledge that these less than diligent companies harm us all. The key is to educate the public as to the reality about background checks. Making sure everyone understands their limits, and what a good background check company will do about them, is a great first step. The most important thing everyone needs to know is that errors in background check reports do occur. And these errors create risk. Records searched can be incomplete and outdated. Identities do get mixed up. And mistakes, once made, are difficult to correct. When any of these errors do occur, job seekers and hiring companies are understandably frustrated. The situation worsens when screening companies rely too much on online databases for their research. In a previous article, “Background Checks and Online Databases - What You Need to Know!”, I explained the pros and cons of using these sources in your background checks. Online databases can contain faulty information. 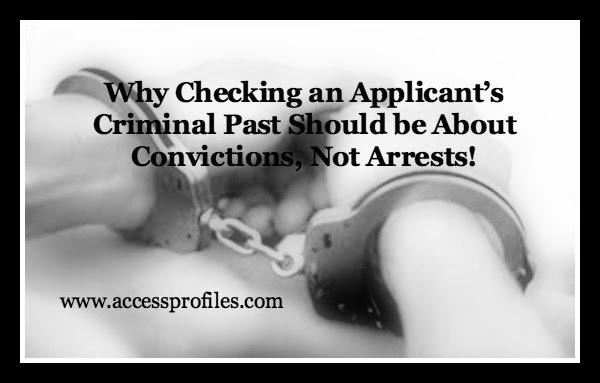 Using them as a “one and done” base for your background check can result in false positives and even allow offenders’ records to show up clear. It is also important for you to understand why these errors in background checks can occur. The biggest problem is mistaken identities. Common and similar names often cause the biggest problems. This is compounded by the growing number of courts removing critical identifying information from their records. For example, many federal courts have removed social security numbers from their records as an answer to rising concerns over identity theft. Offenders have also been known to use someone else’s social security number or date of birth when arrested. This can cause serious problems when trying to verify a criminal record. Mistakes also occur due to human error. Information can be entered incorrectly. Names, addresses, and other identifying information may be mistyped. All this contributes to errors in screening reports. In addition, there are thousands of counties and districts in the United States, each with their own record keeping system. Jurisdictional processes are not the same state to state, or sometimes even among courts within the same state. While in an ideal world, all criminal records would be recorded accurately and in a timely manner, this is not always the case. Often times even records that are supposed to be expunged will still be discoverable. The public’s demand for access to “national” records is part of the problem. Many companies advertise that they are able to provide a “one stop” report that will cover all courts in all states. This is simply not true. What these companies are providing is a database that they have compiled by accessing available records from multiple states, counties, and districts and advertising this as a “national” record. The truth is that the quality of this information varies and not all courts in all states are included. Even those records that are available may not contain both felonies and misdemeanors. That is why it is crucial that all information found using any online database be confirmed directly from the original source. This is where hiring a reputable background check company can make all the difference. They will go the extra mile to make sure the information they provide is as accurate as possible. A good Background Check cannot be “instant”. When screening companies promise to provide you with information on the spot, you need to be wary. This is another truth ~ and one you need to heed. In reality, the majority of Background Check companies are different. They honestly care about their integrity and their customers. Good companies will keep in mind your budget, but will still focus on providing quality information. That is why it is important to remember that low cost is not always better. Most times, you really do get what you pay for. 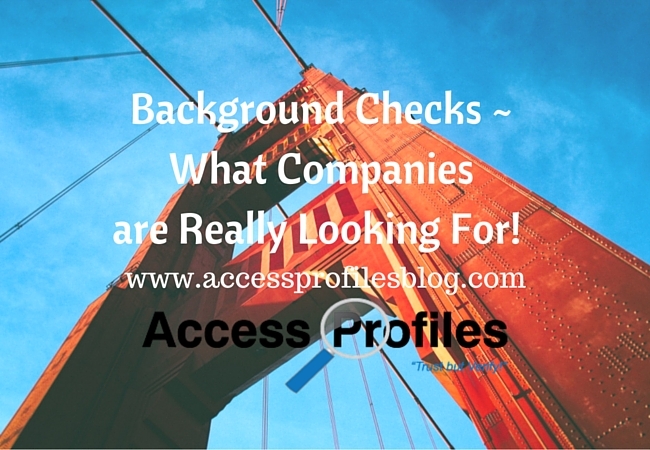 So, how do you find a good Background Check company? Remember, “The key is to find one that will work WITH you, not just FOR You!”. This is the real Truth behind the Background Check industry, not the dire stories that constantly fill the news. There are professional and conscientious screening companies who are dedicated to helping your company. You can be assured that if you practice a little due diligence yourself, you will find the perfect Background Check company for your needs. I guarantee it! If you have any questions about what a good Background Check can do for your company, Contact Us. We are available to answer all your questions and would be happy to provide you with a consultation. You can also find some great tips in our blog, www.accessprofilesblog.com. This time of year, you may gather family and friends around you for a traditional Thanksgiving dinner, or simply join them in watching our favorite football teams compete. Despite being in business for many years, I have been feeling more successful than ever. What is really special to me is that this success does not come solely from having a healthy bottom line. 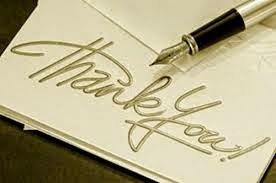 For more of my articles, please take a moment and subscribe to my blog, www.accessprofilesblog.com . You will get one new article each week dedicated to Small Business! You can also find more about what I do on my website, www.accessprofiles.com . I would love to connect with you on Facebook, Twitter, LinkedIn, and Pinterest too! It finally happened. One day I wake up perfectly happy with the cell phone I have had for the past 7 years, and then very quickly everything changed. My phone made calls, took pictures ~ exactly the things a good phone needs to do. I was content. Then the next thing I know, the unthinkable happened. My trusty cell ended up swishing around in my washing machine. I won’t bore you with the details on how this catastrophe happened (suffice it to say that I should never have carried it downstairs in my laundry basket!). But by the time I realized that is where my cell ended up, it was too late. 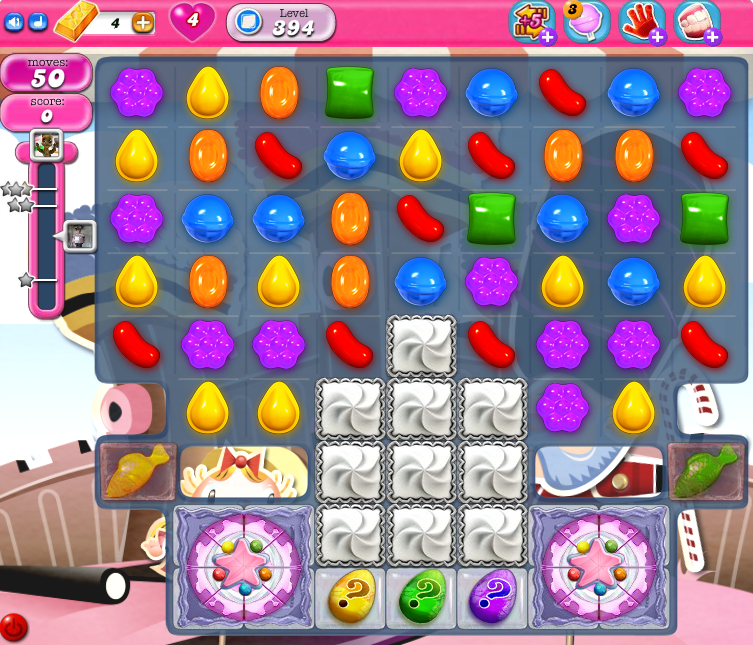 My machine was already filled and agitating! I tried everything. I took it apart, shook it gently to get the water out, and even submerged it in a bowl of rice (thanks to a suggestion from one of my “go to” tech people - my daughter). Nothing worked. It was a goner. And there was no doubt I needed a working phone. So, I got the previously mentioned daughter and we went to my wireless carrier store. Lo and behold, the only phones they even carry anymore are smart phones. My fate was sealed! While waiting for a service rep, I looked around the store. Because I already had a MacBook Air and an iPad, an Apple phone was the obvious choice. It would be easier to navigate and my apps would be interchangeable. Of course I could have chosen the latest and greatest model, but instead I opted for the one where I could get the best deal. So I entered the world of the iPhone 5s. I got to pick a pretty cover (love my pink and purple) and chose a good screen protector (while jokingly asking if this helped make my new phone “washer proof”!). And because I already had an iTunes account, the tech was even able to retrieve my contacts from my old phone! Pretty soon, I was in business ~ and it was easier than I ever expected! When I got home, I synced my phone with my iTunes account and all the apps I needed were quickly at my disposal. I would now be able to get emails, check my social media accounts, and even get updates from Hootsuite on my scheduled posts. Of course I am still tweaking my settings and learning all the things I am now able to do with my phone. But I have already discovered that I love having a smartphone more than I ever thought I would. I had resisted getting one for the longest time (despite being eligible for an upgrade for years). I was not sure I wanted to be “connected” 24/7. I liked being able to shut down my laptop or iPad and be “off” work. 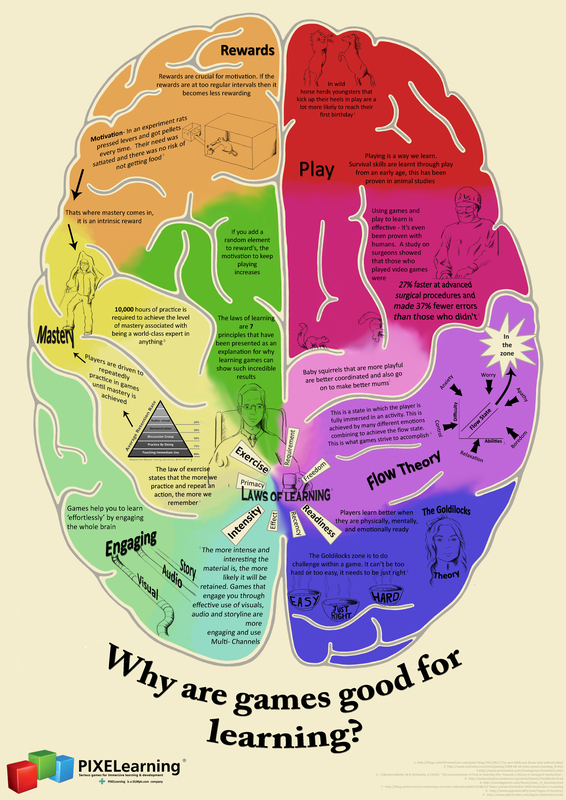 But, as with anything, I have found that understanding the pros and cons, and learning what works for me, is what is important. I am able to check for important emails, and trash the junk ones, while traveling ~ definitely streamlining my inbox before checking my laptop later. My picture taking capabilities, both for work and personal use, have increased greatly. This is great since I love using my own pics in my social media posts. Replying to a comment on my blog or post is now done more quickly than ever. This definitely increases timely interaction with my readers. My Old & My New Cell! I have to fight the urge to check social sites more than I should (it is just too easy). It can be “too much” access to my business. Constant alerts to emails coming in and group notifications can be overwhelming. Setting strict parameters as to when and where to check in has been important in managing both. And this is the most important lesson I have learned through it all ~ the “ Do Not Disturb” mode is my friend! Every evening I silence all notifications except for incoming calls from my “favorites” (my close family). This way I am not constantly getting buzzed or beeped while relaxing or during the night. It has been a lifesaver (especially since I did not discover this setting until the second night of having my phone)! I can now truthfully say that my reluctance to join the world of the smartphone was unfounded. As with anything new, learning how to make it work for me instead of against me has been key. To discover more tips to help you succeed in your small business, be sure to subscribe to my blog, www.accessprofilesblog.com, and visit me on my website, www.accessprofiles.com. I can help! 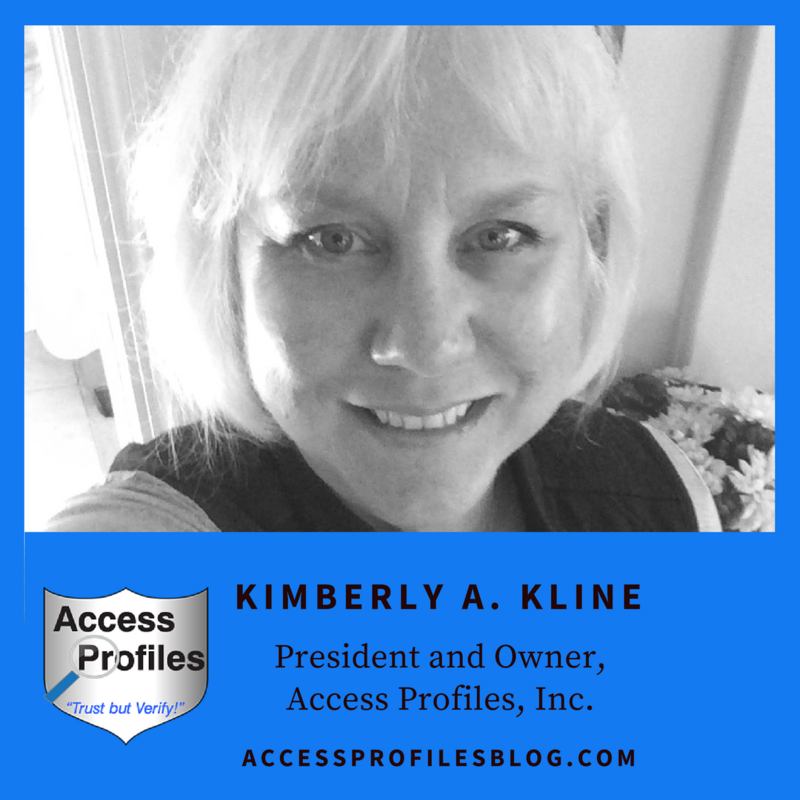 I would also love to connect with you on Facebook, LinkedIn, Twitter, and Pinterest! I look forward to seeing you! 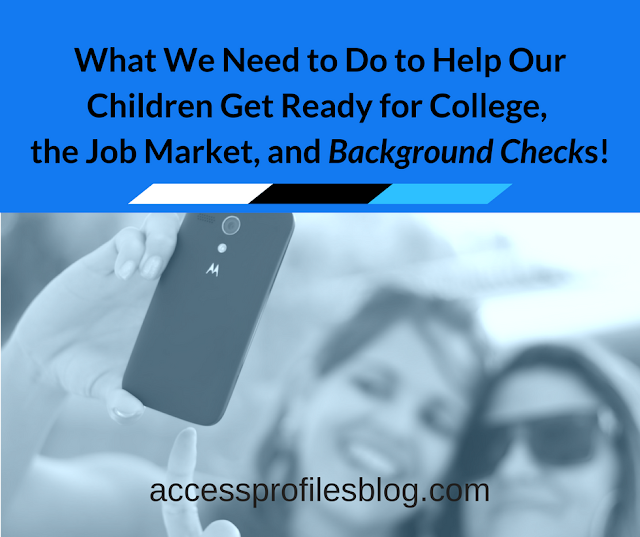 How, when, and why you can use Background Checks in your hiring process has changed. And many of these changes were Hot Topics in 2014. 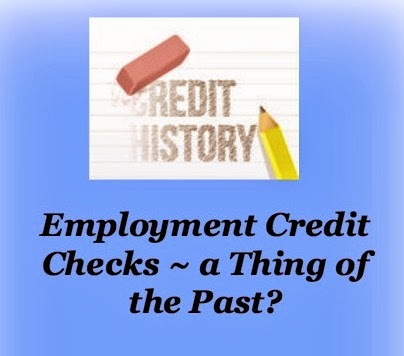 Any employer who obtains criminal history reports on an applicant or employee from a CRA (Consumer Reporting Agency) must follow the Fair Credit Reporting Act. Your Background Check provider falls under the CRA category. Provide the applicant/employee a copy of the report and a Summary of their rights prior to any adverse action based on the information in the report. 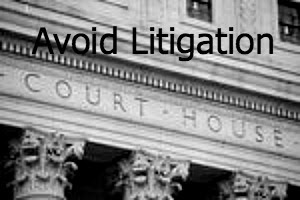 Send Written Notice if a decision not to hire is made based on the criminal history report. The important takeaway here is that any time your company uses a third party to conduct your background check, you must make sure they understand that the FCRA requirements apply. I believe your Best Offense is a Good Defense. In order to avoid FCRA violations, it is crucial that your screening provider is knowledgeable, in full compliance, and can keep you in compliance with the Act. It is also important that they use procedures aimed at providing you with accurate and quality information. Remember, not all background checks are created equal. Learn more in “Tips to Help Your Business Fly Under the EEOC Radar”. I help you avoid the pitfalls that can land your company in their sites when it comes to your release forms, your notice of applicant rights, and your adverse action notifications. 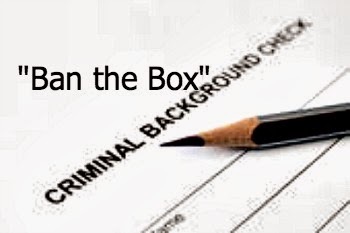 At its most basic, “Ban the Box” removes the criminal history question from job applications and delays the question of a criminal record until a conditional offer of employment has been made. However, and as I discussed in my article, “Discover How Many States are Taking ‘Ban the Box’ too Far”, this trend continues to grow and morph as more states and cities adopt their own policy. “Critics of “ban the box” see the current trend as excessive intrusion on a company’s hiring decisions. Giving extra protection to those with criminal records subjects employers to complicated hiring procedures and to possible litigation for making unsafe hires. Making any decisions, even the decision to interview, will now be made without having all the facts. And limiting what kinds of criminal offenses can be considered creates risk. Opponents to the current and, most likely, future reach of “ban the box” believe having that information early in the process allows employers to make a much more informed decision. They do not help the employer accurately decide if the person is likely to be a responsible, reliable, or safe employee. Another key point here is the emphasis on using Convictions, not Arrests, when making your hiring decisions. Only then can you make a truly fair and informed determination of the applicant’s suitability for the job. The Rise in Class Action Lawsuits involving the Federal Fair Credit Reporting Act (FCRA). Employers are in a tough spot. They need to practice Due Diligence in hiring, while at the same time dealing with changing compliance issues. Because of this, companies can expect to see an increase in lawsuits for both failing to use background checks in hiring and for failing to use them correctly. This climate makes it more important than ever for employers to consult legal counsel well versed in FCRA compliance and employ a good Background Check company to help. 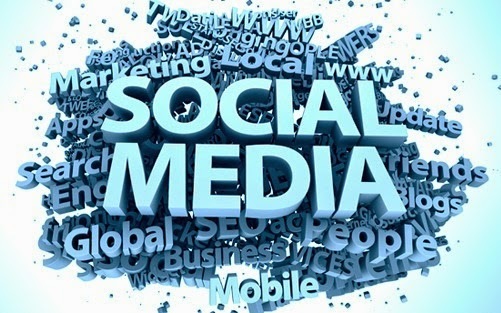 Use of Social Media in Background Checks. I have always been an advocate of knowing what is “out there” about you, especially before beginning any job search. In Part 1 of my series, “Social Media, Background Checks, & Company Policy: The Good, The Bad, and the Ugly”, I share exactly how Social Media posts, pictures, etc. are used during the hiring process. 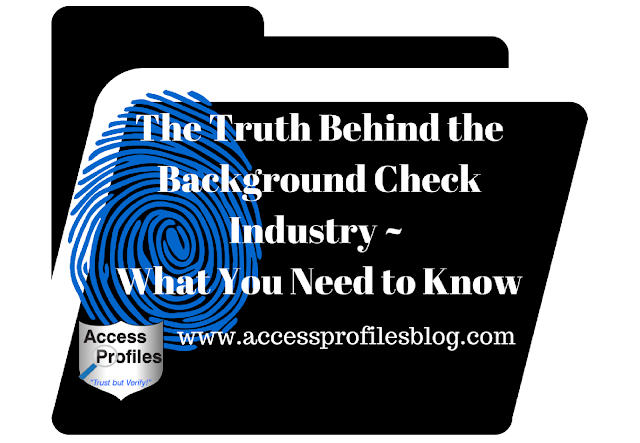 It is important to understand that “many times it is not part of the formal background check investigation, but is often an 'added tool' used by the hiring company or background check investigator to get a clearer picture of the applicant”. In Part 2, I go further and explain the importance of a sound Social Media Policy, “5 Things a Good Social Policy Needs”. While it is easy to see why using social media in your hiring process is appealing (it is free and quick after all), employers need to be wary. Existing laws that govern fairness in employment still apply. Any personal information you discover that relates to protected classes as defined by Title VII (race, religion, etc. ), cannot be used in your employment decisions. The problem is, once you have seen something, it cannot be unseen. This results in an added risk to your company. If you make the determination not to hire someone, proving that you did not factor in anything you may have seen online covered by Title VII can prove difficult. Your best bet is is use a 3rd party screening company to conduct all aspects of your background check. They will be well versed in what information they can and cannot include in their reports. Employers would do well to approach the use of credit reports in their hiring process with caution. It is important to know your existing state laws governing credit reports (and be aware that these laws may change) and understand whether a credit report is necessary and relevant to the job. Having a permissible purpose for the credit report and meeting all guidelines is crucial. Employers also need to be aware that credit reports are not infallible. They can contain errors. In addition, the growing problem of identity theft creates a nightmare for victims in terms of their credit reports. This tool could possibly disappear from employer’s hiring practices in the near future. I believe each of these trends will continue to be Hot Topics in the coming year. That is why making sure you keep up to date is the primary goal of your background check provider. While this can seem like a daunting prospect, being flexible and trusting in your screening company is key. If you have questions on how you can make new hires or screen existing employees safely, I can help. 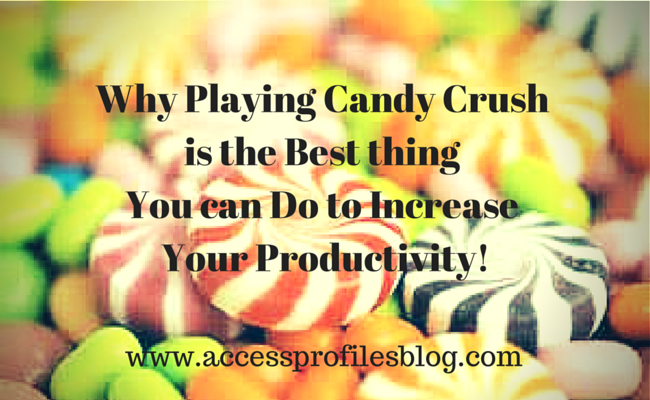 Contact me at accessprofiles2@comcast.net or check out my website, www.accessprofiles.com, for more information. I can offer you a free consultation or simply answer any questions you may have concerning your hiring needs.